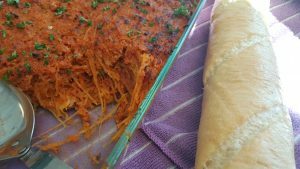 Spaghetti Squash. 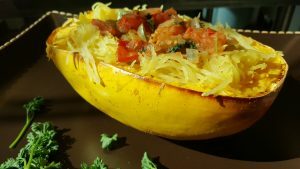 If you are one of the few people who actually know what a spaghetti squash is, it’s probably safe to say you can only prepare it one way. Squash as spaghetti. Served with … what? Yep, you guessed it, pasta sauce. Well, prepare to have your minds blown! 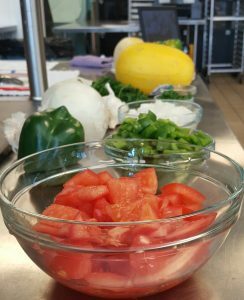 We recently did a cooking demo at the Detroit Eastern Market where we displayed three different dishes using that oblong yellow vegetable. And, to add more of a wow factor, all three dishes can be created in 30 minutes or less. With the varying dietary intake that has America divided like the current presidency, we decided to offer one dish as vegan, one as vegetarian, and one as carnivorous. We’ll get more into that later. For now, let’s describe a spaghetti squash and briefly review its health benefits. 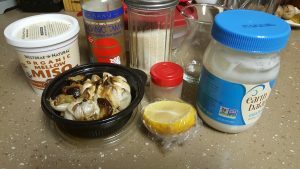 If you’re in the majority of the people who haven’t even heard of this vegetable, then you’ll probably asking yourself “what is a spaghetti squash?” Picture this … a winter vegetable with a hard pale yellow exterior with a stringy flesh. Got an image in your head? Ok good, hold on to that for a sec. Now let’s take a moment to reflect on the nutritional value of the almighty spaghetti squash. First of all, it’s very low in calories. I mean … we’re talking less than a half a gram of fat per cup. It’s also low in carbs, containing only 10 grams per cup. Two things this squash is high in is fiber and water content. All of these qualities bundled together makes the spaghetti squash pretty darn attractive! Ok, enough of that. Let’s get back to the good stuff … how to take this vegetable nerd and turn it into three different delicious dishes. 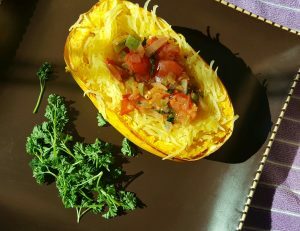 The first dish is Spaghetti Squash with Rustic Tomato Sauce. It’s a hearty dish that warms the stomach on a rainy day. Vegan. 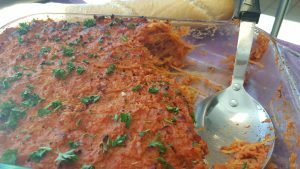 The next dish is Spaghetti Squash Casserole. This meal is a flavorful twist on the classic spaghetti and meatballs. Carnivorous. 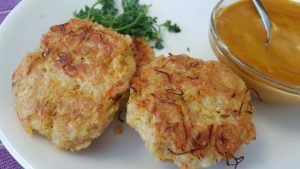 The final dish is Fried Quinoa Spaghetti Squash Cakes with a Moroccan dipping sauce. This is an appetizer that will surely impress anyone who takes a bite. Vegetarian. Trust me … you’ll be pleasantly surprised by this vegetable nerd. I do hope you enjoy these recipes. Don’t be afraid to experiment with them. Don’t be afraid to interchange ingredients. Don’t be afraid to make them your own.